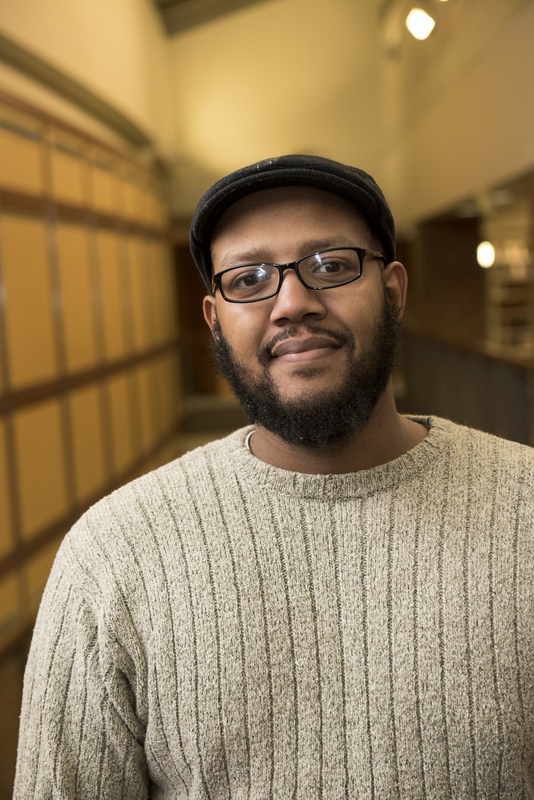 Abdullahi Kollow is a graduate student at Augsburg pursuing a Master of Arts in Education (MAE) and a licensure in Secondary Biology. 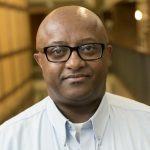 He earned his BA in Agricultural Biology from Somalia and a master’s in Computer Information Systems from the University of Detroit Mercy. Abdullahi has a professional teaching licensee from Ohio and has taught science in grades 7-12 for over 10 years. He is currently teaching science at American Indian Magnet School in Saint Paul. Tola Atewologun is an MAE graduate student at Augsburg University pursuing secondary licensure in Social Studies. Tola has bachelor’s and master’s degrees in Public Policy from the University of North Carolina and the University of Michigan, respectively. Prior to pursuing a career in education, Tola worked as a financial analyst for public sector organizations such as the Social Security Administration, Department of Defense, and the Federal Reserve Bank. In 2015, he went back to school to get his MAE in education from Augsburg. He spent the 2015 school year as a substitute teacher, where he worked at over two dozen high schools in the Twin Cities area. He is excited about becoming a teacher and hopes to inject erudition, passion, and critical thinking into the classroom. Arif Bakar is an MAE student at Augsburg University pursuing a teaching license in 5-12 Science. 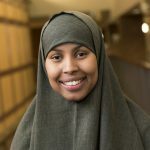 Bakar received a bachelor’s degree in human services and worked for the Hennepin County for 10 years as an interpreter, special program counselor, and finally as a senior human service representative. Some of his previous roles include mentoring at MCTC college and serving as a tutor at Franklin Library. Bakar is from East Africa and speaks five languages. Daniel T. Sahille is currently pursuing English as a Second Language (ESL) licensure. He graduated from Addis Ababa University in Ethiopia with a BA in Political Science and International Relations and worked as a public servant in government bureaus after his undergraduate career. He was motivated to become an ESL teacher as result of his experience as a volunteer ESL teacher for recent immigrants at Esperanza Center in Baltimore, Maryland. 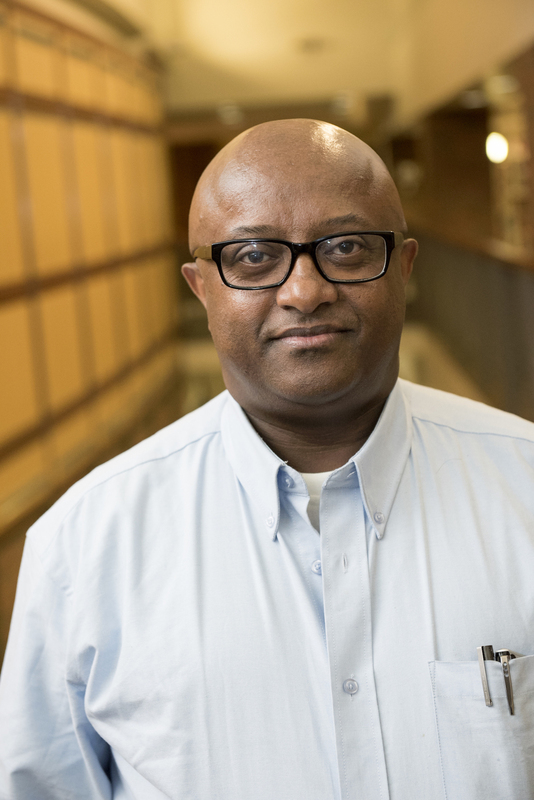 Through his career, Daniel aims to help students who are at an academic and social disadvantage. 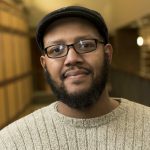 Elias Ali is a graduate student at Augsburg University pursuing a Master of Arts in Education (MAE), and a license in English as a Second Language (ESL). He earned his BA in Theology with a minor in Islamic Education from the University of Madinah, Saudi Arabia. Currently, Elias works for Building Blocks as a Program Manager with their youth and social service teams. He has also taught ESL in Saudi Arabia for five years. Outside of school and work, Ali volunteers with local faith-based communities teaching youth and adults. Ali will complete his student teaching in 2018. 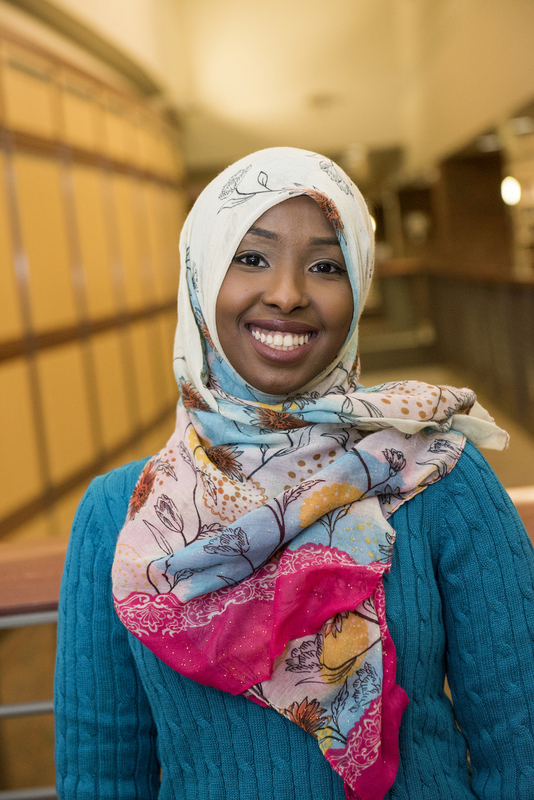 Halimo Roble is an undergraduate at Augsburg University pursuing English as Second Language (ESL) licensure. Roble currently works at a Daycare Center. She works with ages ranging from toddlers to school age children. 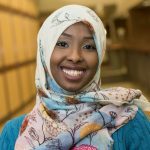 Roble is looking forward to working in the Rochester School District as an ESL teacher. She hopes to create a safe environment and be able to identify with minority students. Leyla Sahal is an MAE graduate student at Augsburg University working on elementary licensure. She graduated from Augsburg University with a BA in political science and a concentration in public policy and pre-law. She also has a minor in communication studies. Leyla has been working as a paraprofessional, a mentor and coordinator for after-school programs. 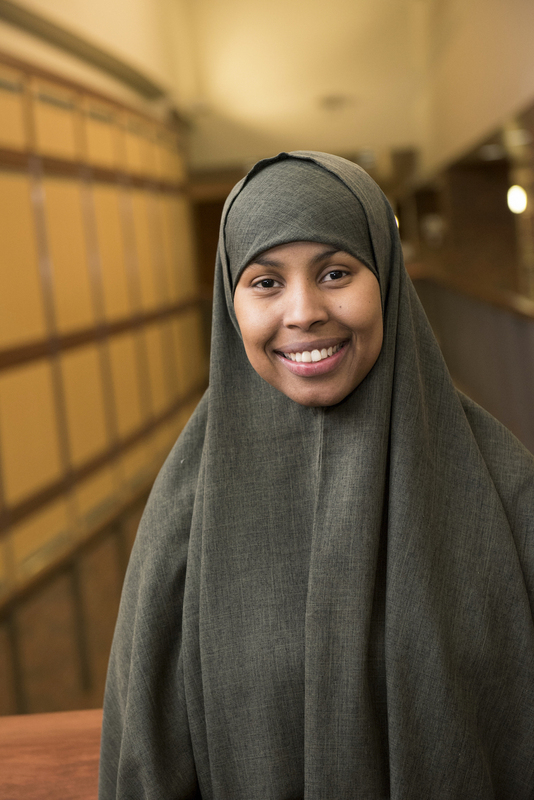 She taught K-5 students for Kaleidoscope Place, Confederation of Somali community, and IQRA Learning Center. Leyla understands the importance of educating at-risk students. She believes that a strong, dedicated teacher can change a child’s life. She also believes that effective communication between parent and teacher are necessary in order to overcome any academic challenges. Ruthina Belleh is an undergraduate senior at Augsburg University pursuing a degree in elementary education. She will be graduating in the spring of 2016. She hopes to make a difference in students’ lives and encourage kids to do what they love. When Ruthina is not at school, she works as a teacher assistant at Nativity Early Learning Center. After graduation, Ruthina hopes to get a job as an elementary teacher.